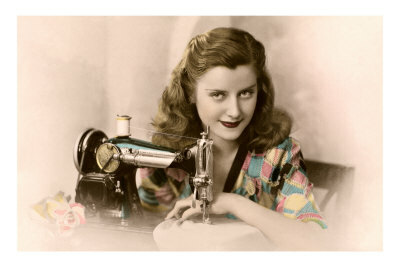 If you feel like you’re in a fix with your clothes and you’d like to learn to fix them up then this is the course for you, a one day special in altering and repairing your wardrobe. Using an unpicker (vital for quick unpicking). Taking clothes in – Bring a simple item to take in at side seams. Patching a hole -handy for jeans or trousers gone at the knee or bum! Seam repairs – fix a split seam where the stitching has gone. Taking up trousers, jeans and skirts. Just as it says! Refitting a zip – just a standard zip, not an invisible one, and preferably not in a lined garment! Jeans or similar are ideal. Bring some clothes to work on or use our practice pieces.Just don’t tell your friends you can fix zips or take up trousers or you’ll be fixing everyone’s clothes!! 10.30 – 4.00pm, with a break for lunch. £50. Please pay a £20 deposit and pay the balance on the day. Look at the ‘deposit’ tickets to see how many places are left. Please ignore if the full price ticket says sold out, places are determined by the deposits paid.